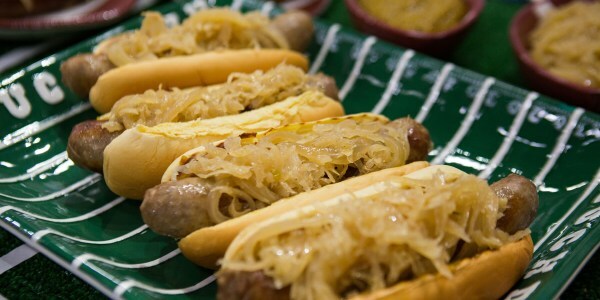 Take your tailgate to the next level with tasty beer braised bratwursts with spicy mustard and sauerkraut, juicy burgers and classic creamy potato salad. Chef and restaurateur Matt Abdoo is stopping by the TODAY kitchen to coach us through the next installment of our TODAY Food Loves Football series. This week's Thursday Night Football game has the Denver Broncos going head-to-head with the Indianapolis Colts. 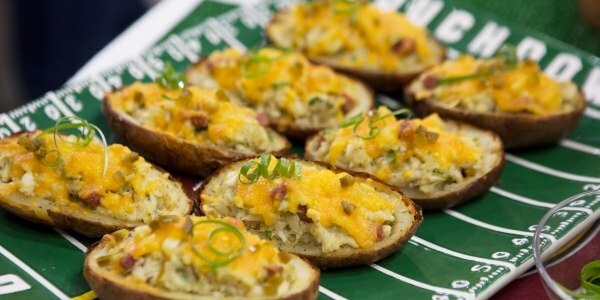 In honor of each team, Abdoo is whipping up great game day recipes. 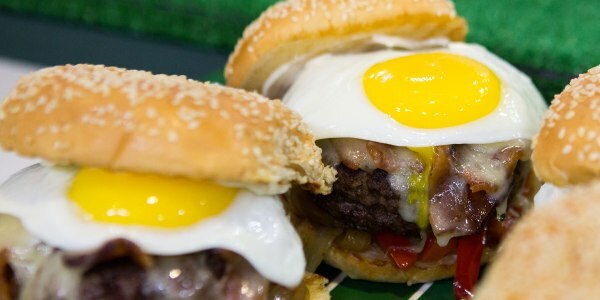 He's making egg-topped brunch burgers with creamy potato salad for the Broncos and braised bratwursts with beer mustard and sauerkraut for the Colts. 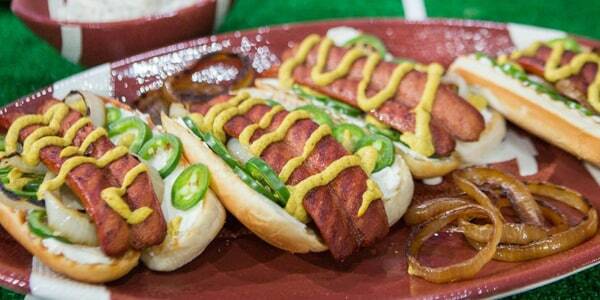 The beer mustard adds a great spicy kick to the brats, and the brats just give me that game day warm comfort that I love while watching football! Legend says that Western omelets, also called Denver omelets, originated in Denver, and of course any excuse to put an egg on a burger, I'm in! 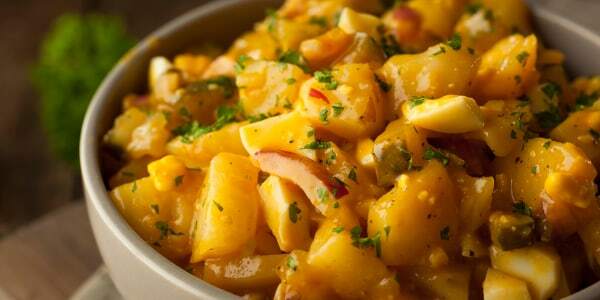 Potato salad is fast, easy and goes great with burgers or any tailgate food!